We are running a great hotel deal this year, allowing you to spend 3 nights in our historic Inveraray hotel for the price of just 2 nights! Stunning views, real ales, fantastic food, loads of great attractions - and children and pet-friendly! 3 nights B&B per couple just £198.00 per voucher! We strictly limit the availability of this deal to a maximum of 2 rooms per day - so call, email or hit the CHECK DATES button now to book this great hotel deal in Inveraray! 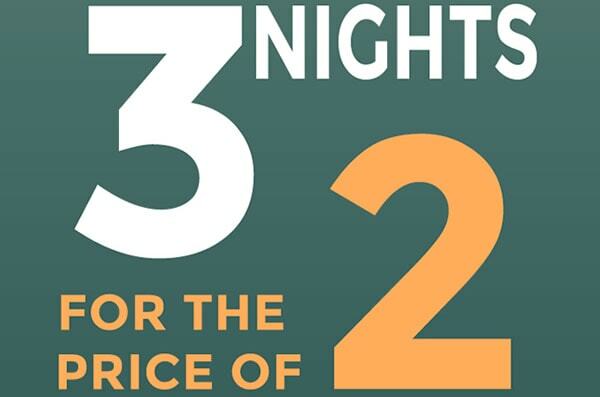 3 nights B&B per couple just £238.00 per voucher! We strictly limit the availability of this deal to a maximum of 2 rooms per day - so call, email or hit the CHECK DATES button now to book this great hotel deal in Inveraray! 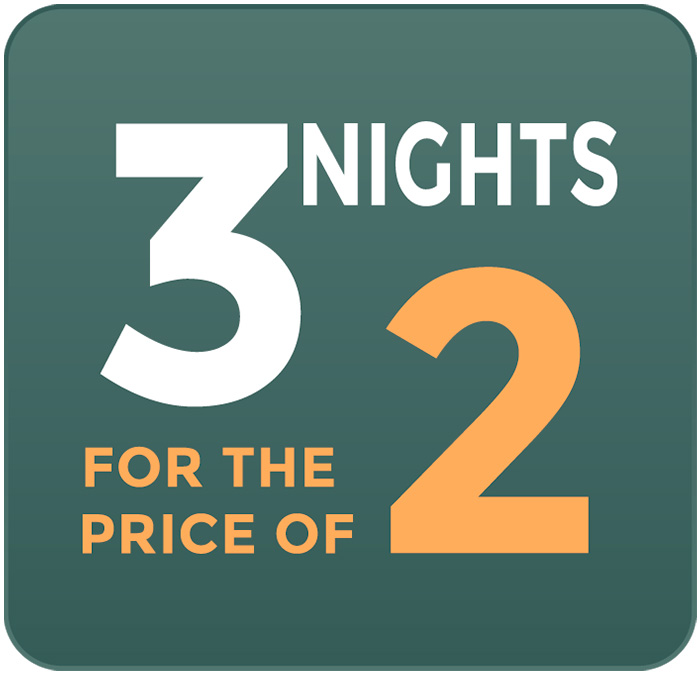 3 nights B&B per couple just £298.00 per voucher! We strictly limit the availability of this deal to a maximum of 2 rooms per day - so call, email or hit the CHECK DATES button now to book this great hotel deal in Inveraray! To check your dates and claim your voucher simply hit the CHECK DATES button and chose your dates - or you can call 01499 302466 or email the hotel stating name and telephone number so we can call you back. Vouchers only issued on full payment in advance. Excellent location for visiting Inveraray Castle, Inveraray Jail, the Bell Tower and much more. Voucher valid for 2 people, may buy multiple as gifts. Booking required. Subject to availability. Check-in 3pm, check-out 11am. Late check-out available for supplementary fee. Price based on Standard Room type - upgrade to Loch Room for just £25 per night or the Executive Double Room for £35 per night. Upgrades subject to availability. Original value based on best available rates. Pricing cannot be retrospectively applied to previous booking. Date changes permitted by arrangement. No cancellation policy.